Podcast #21- 216 Days to Go! Podcast #21- Click here to listen to this week’s podcast- Saint Joseph gets some love too! This week we start with our usual review of the past week and talk just a little about flash mobs and Christmas in July (more on that in July of course!). 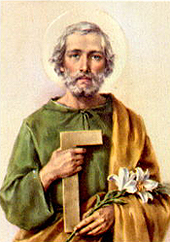 We mainly discuss the lives and times of Saint Joseph, Mary’s husband by most accounts. Unlike Mary there is little written on Joseph. We do know that from what is written there is little agreement. 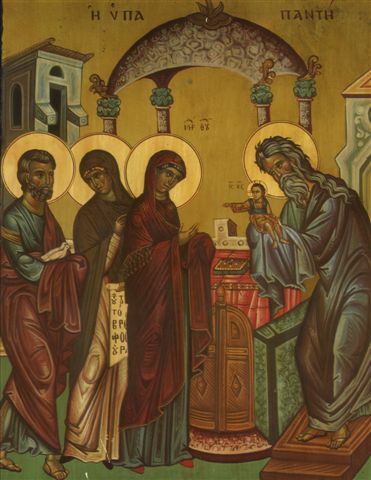 No definitive text exists to explain the life of Joseph. Was he a widow? Was he old? Did he and Mary ever consummate their union? Were they even married? We don’t offer answers but do discuss some plausible maybes. We leave open a difference on the actual divinity of Joseph. Did he have a similar connection to God as Mary and Jesus? More research will tell. Mary is honored and celebrated by the faithful world-wide. She is the most holy of all women and we’ve discussed her various roles, most importantly in the Christmas story. Mary continued to appear to the faithful thousands of years after here lifetime. These apparitions are seriously investigated and researched by the church. Over 500 have been reported but very few gain the “approval” of the church. 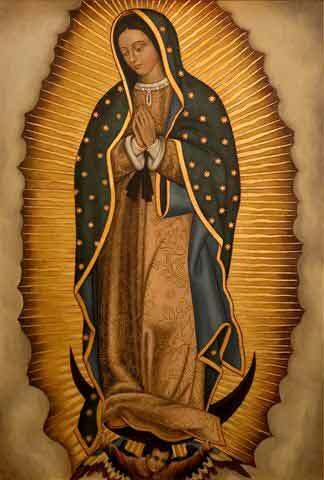 The Lady of Guadalupe appeared to Juan Diego in 1531. Diego was a poor old Aztec widower who lived in a small village near Mexico City. He was headed to mass one evening and passed near the hill Tepeyac. As he passed he heard music like the cries of birds and a cloud appeared. In the cloud was a vision of a native American girl dressed as an Aztec princess. She spoke to him in his native tongue and told him to go and see the Bishop of Mexico. He was to instruct the bishop to build a chapel on the site where she appeared. Diego went to the bishop and did as he was asked. The bishop asked Diego for a sign from the Virgin Mother. She again appeared to Diego and provided him roses, which were not in season, to take to the bishop as proof. Diego carried them in his cloak and when he reached the bishop they all spilled out. In his cloak remained an image of the Virgin Mary. This visit from the Holy Mother changed the church and still serves the peoples of Mexico, and the world, as an inspirational tale for god living. A basilica was built in her honor in Mexico and the image is kept there, even today. Mary makes another unexpected appearance in 1858 outside the village of Lourdes in France. A poor young girl named Bernadette and her family were living in a local jail. Bernadette was out searching for firewood with her sister and a friend. They came upon a cave known as Massabielle. There Bernadette has the first of many sightings of the Holy Mother- a lady dressed in white with a blue sash ans yellow roses at her feet. There were nearly 18 additional visions. Many treated Bernadette with skepticism and lacked belief, including the local priest. The priest and all others were convinced when Bernadette shared that the lady told her that she was the “Immaculate Inception”. With no way for Bernadette to have known of that title or meaning, the priest was convinced. A spring was discovered on the site and healings occur on the site for the faithful. Lourdes is one of the most visited holy sites in honor of Mary in the world. Nearly 6 million people visit annually. 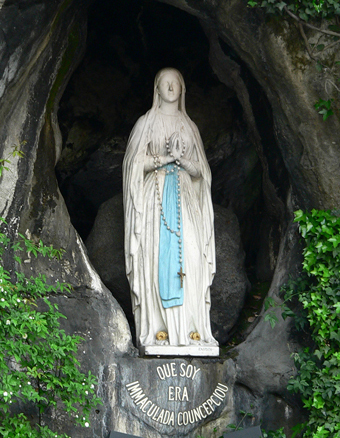 Lucky for us here in Maryland that we can get to a local shrine in honor of Lourdes. The National Shrine Grotto of Our Lady of Lourdes is located in Emmitsburg, MD. It is the oldest replica of the original dating back to 1875. The gardens and grounds are beautiful at all times of the year. A peaceful walk to the shrine at Christmas can be very fulfilling!